In the process of setting up my dust collection, I am getting all tools where I want them and working out how to maximize the efficiency of stray dust. 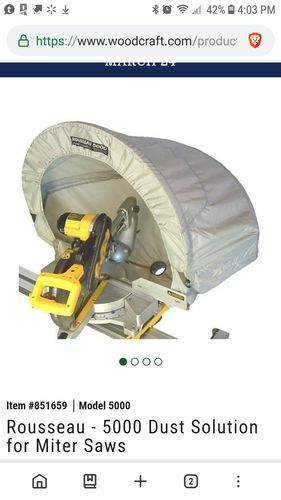 One of the hardest tools I have found to control dust is my Mitre saw. 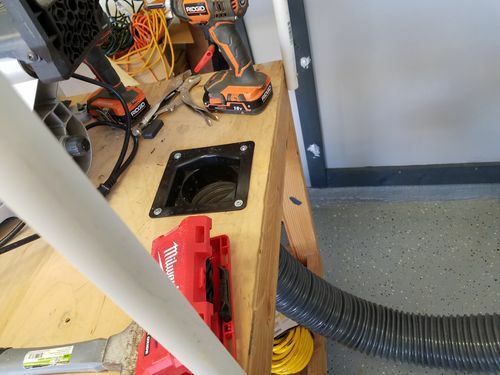 Even with a hose connected to the built in dust port, it throws sawdust around like crazy. The dust hoods get good reviews for the most part, but I found them to be expensive for what they are, like this one for $160. After thinking about different ways to do it, I decided to use 1/2” & 3/4” pvc. I also noticed several offerings out there for dust hoods have a light, since the canopy blocks it out. To avoid having to do that, I went with a thick but clear plastic which will allow the light to come through. 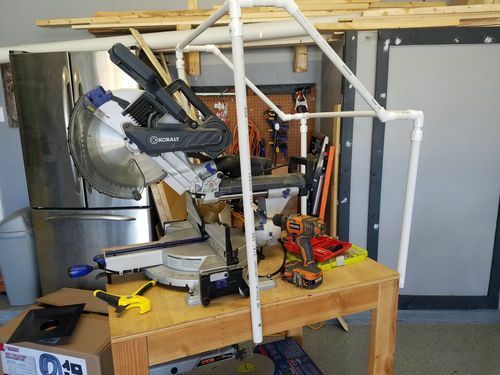 So far, I built the frame, installed a dusthood in the top of the cart which will utilize a 4” hose, while the built in dust port will get a 2 1/2” hose. All that is left to do is to take my time wrapping the frame. I plan on gluing the plastic to the pvc, but running velcro all the way around the bottom so I can take the bottoms up if needed. 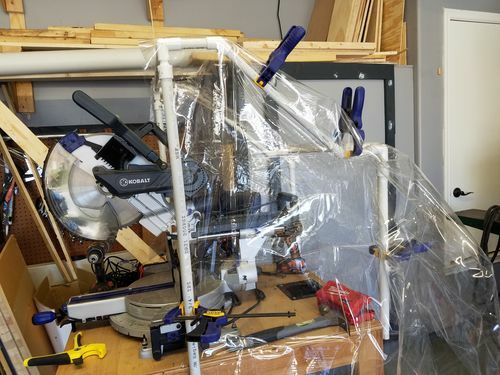 That clear plastic hood fabric could be patterned, cut and sewn to be a nice fit to the tubing frame, as-shown in my custom boat enclosure topic. If going that route, ensure the tubing position is finalized and secured before starting on the hood. I used heavy cardboard stapled to a 1×2 wood frame. Cost next to nothing . 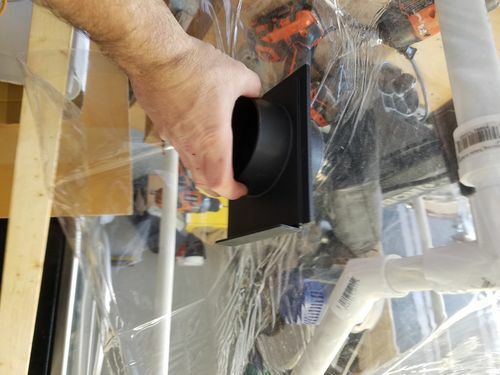 A 4 inch dust port where you located yours….works very well. -- I'm a consultant...when she wants my opinion, she will ask for it. You’ll need some flaps on the front side so you get constricted airflow from the front, flowing around the blade, and making a path to your exit. That Rousseau might be great to use out in the field or outside. But not in a inside woodshop.